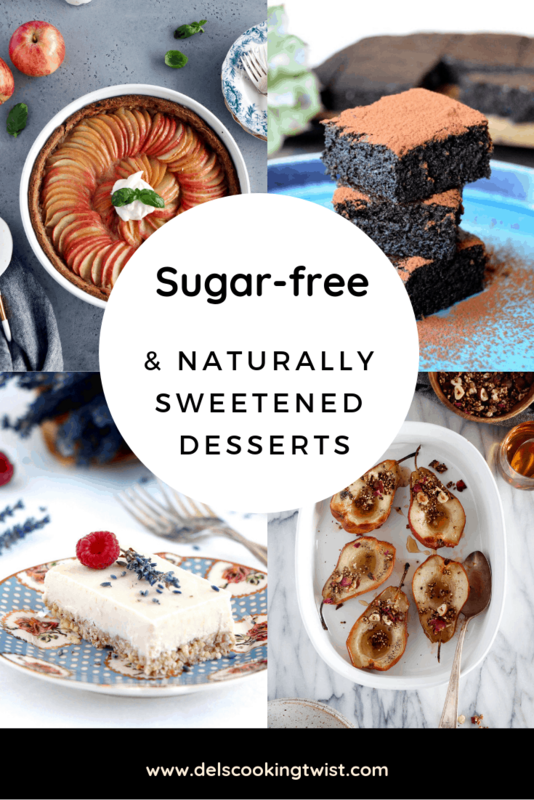 Cut processed sugar from your diet with these mouthwatering sugar-free or naturally sweetened desserts. Your way to a healthier life. We know as a fact that refined sugar is not our best friend. Don’t get me wrong: we all love and need sugar to live, and we cannot totally exclude it from our diet. 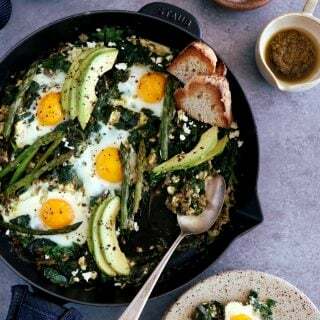 I personally believe in healthy eating habits rather than in dieting, except of course for medical reasons. I admit it’s easy for me to say as I’m rather petite, but I’m not here to tell you what is right or wrong. In the end, we are all different, with different needs, a different appreciation of our body, etc. 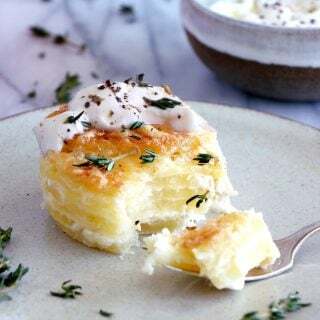 So, rather than cutting all the sugar from your diet, why don’t you try sugar-free and/or naturally sweetened recipes once in a while? 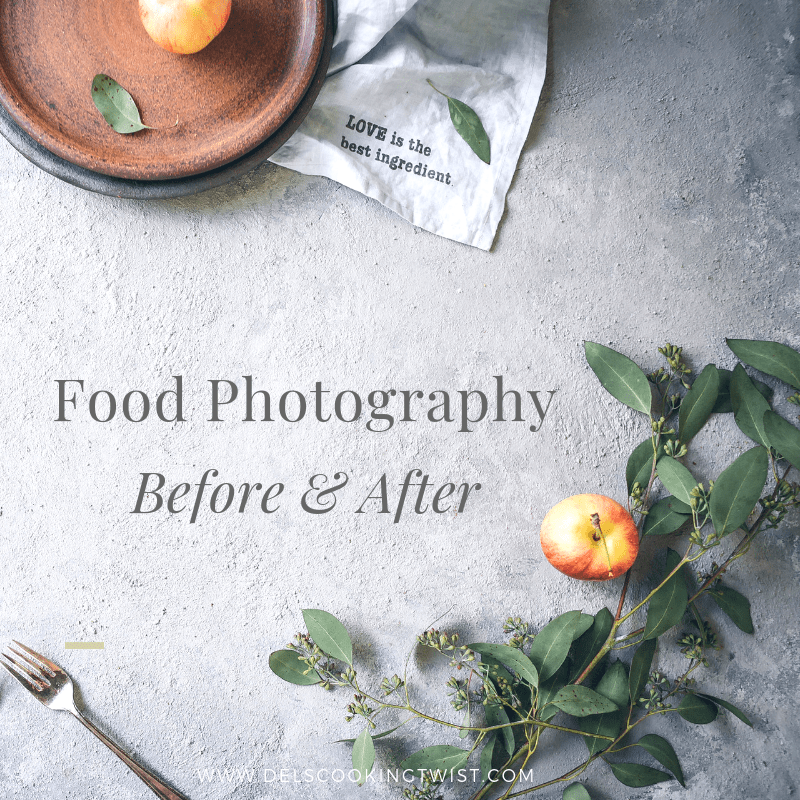 Finding alternatives to refined sugar will help you in many different regards: regulate your blood sugar level, reconnect with the true taste of ingredients, and simply learn how to appreciate less-sweetened recipes on the long run. Sugar-free: when a recipe doesn’t use any kind of natural sweetener outside the core recipe ingredients, usually fruit (rather whole or mashed). Naturally sweetened: when a recipe use natural sweetener (as opposed to refined/processed sugar) to enhance the taste of dessert. It can be dates, honey, maple or agave syrup, coconut sugar, etc. 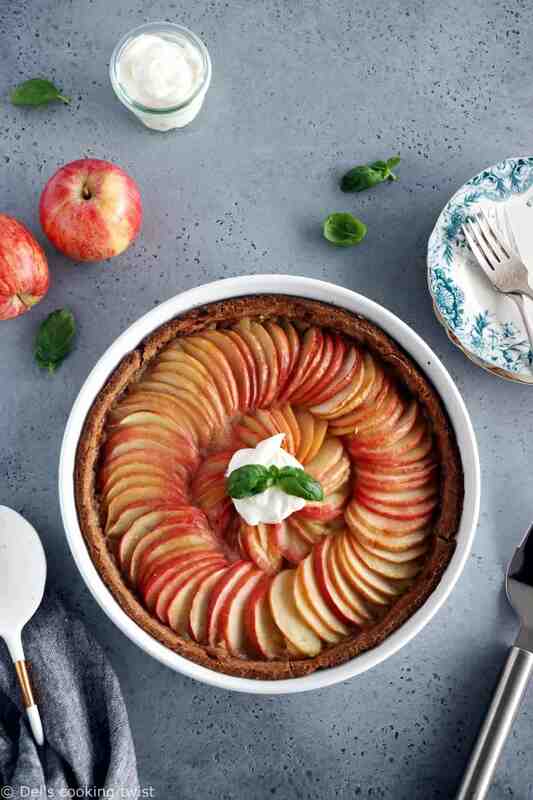 Vegan Apple Tart (Sugar-Free) – This apple tart is minimalist and all about the apples. 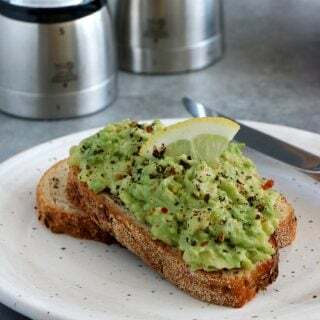 Naturally vegan, it is prepared with an unsweetened apple sauce and a rustic whole-wheat crust. A great dessert for any occasion. 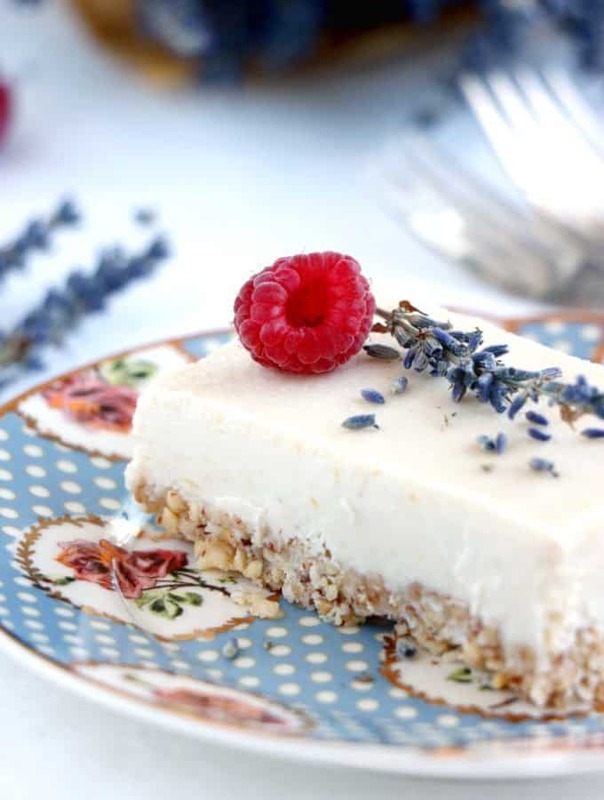 Raw Coconut Yuzu Cheesecake (Naturally Sweetened) – A wonderful vegan cashew cheesecake naturally sweetened with dates for the nutritious nut base and agave syrup for the cashew-“cheese” part. 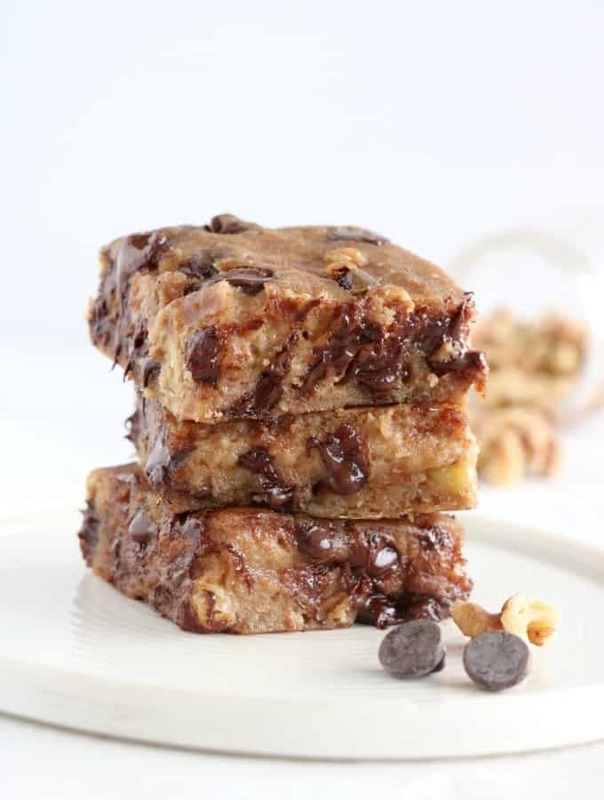 Healthy Vegan Chocolate Chip Blondies (Naturally Sweetened) – You won’t resist these incredible blondies, naturally sweetened with dates. Note that chocolate chips contain sugar, but you can find some unsweetened chocolate chips! 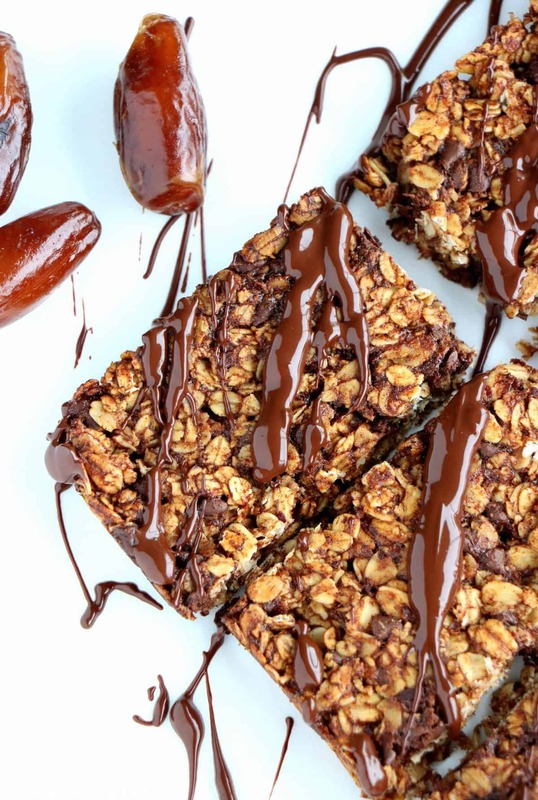 Easy Chocolate Chip Granola Bars (Naturally Sweetened) – They are super simple, soft and chewy, and naturally sweetened with sugar contained in fruits, bananas and dates here. As I said earlier, feel free to use unsweetened chocolate chips too. 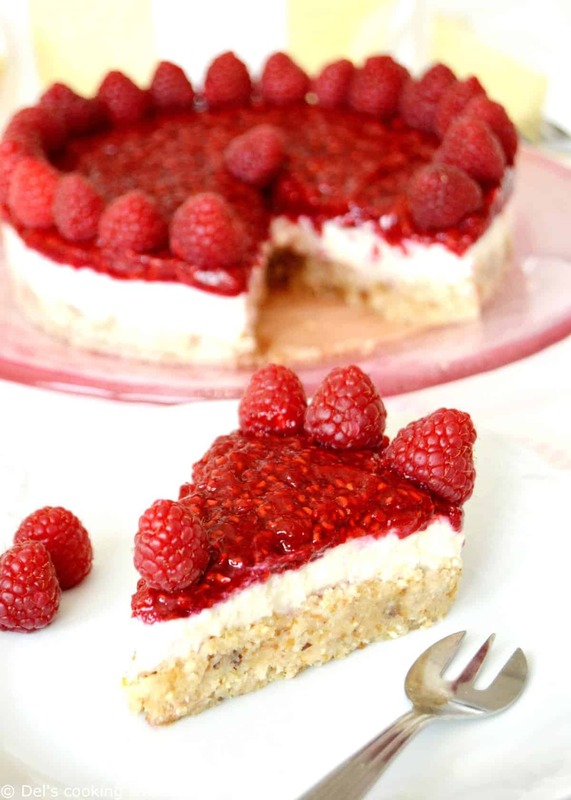 Vegan Raspberry Cheesecake (Naturally Sweetened) – A wonderful raspberry cashew cheesecake naturally sweetened with a few dates in the base and coconut sugar for the “cheese” part. Everyone falls in love with it! 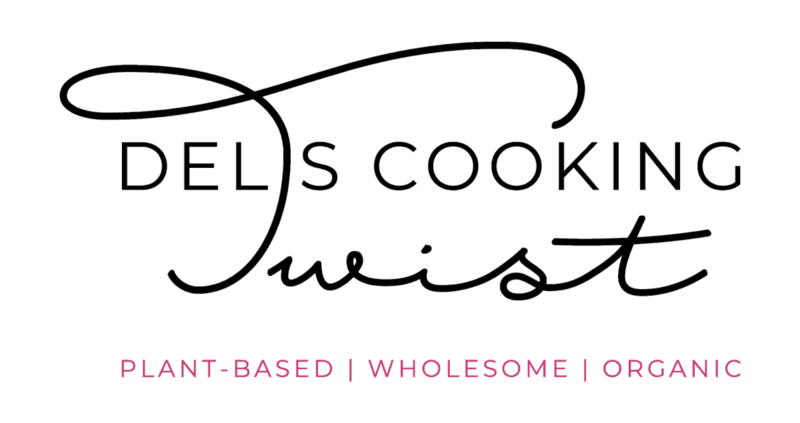 Healthy Double Chocolate Avocado Cookies (Naturally Sweetened) – You are all crazy about them and we understand why. 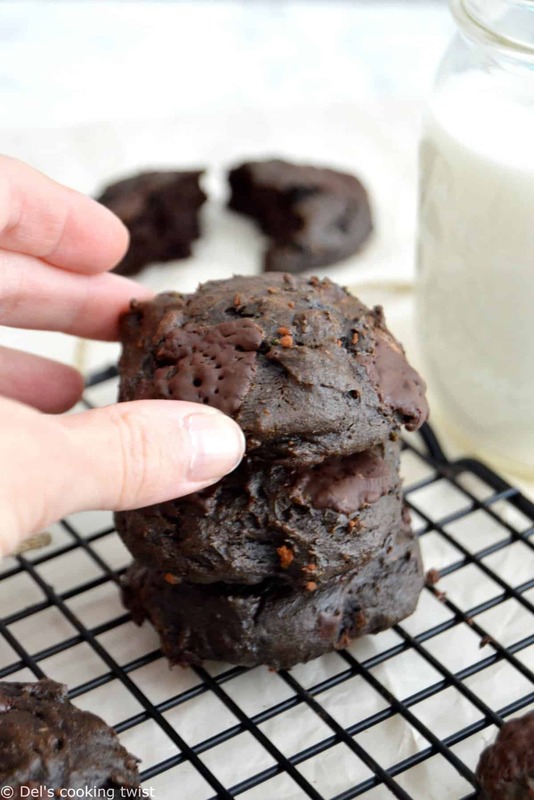 Prepared with unsweetened cocoa powder, these avocado cookies are naturally sweetened with coconut sugar. They exist also in a vegan version + come with a little video tutorial. 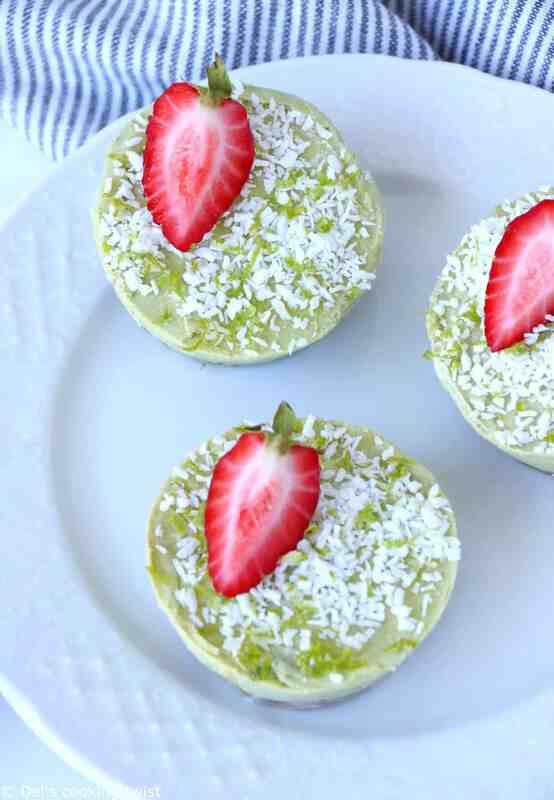 Mini Healthy Key Lime Pies (Naturally Sweetened) – Prepared in mini portions or in a large round pan, these key lime pies will surprise you. A few dates for the base, a touch of agave for the filling, and that’s pretty much it. They are also raw, vegan and gluten-free. Healthy Extra Moist Chocolate Cake (Naturally Sweetened) – One of the most popular recipe from the blog. It comes with a little video tutorial. 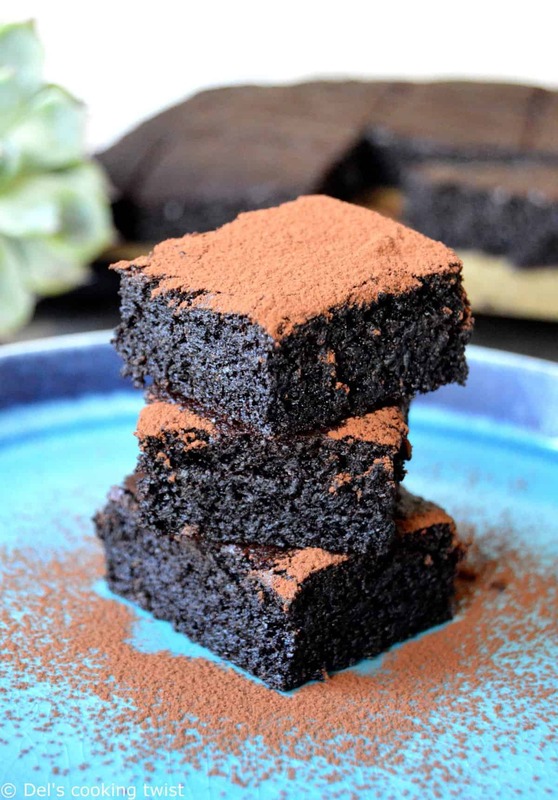 No refined sugar for this recipe, naturally prepared with unsweetened cocoa and sweetened with dates. And no, your guests won’t even see the difference with a classic chocolate cake. Bluffing! 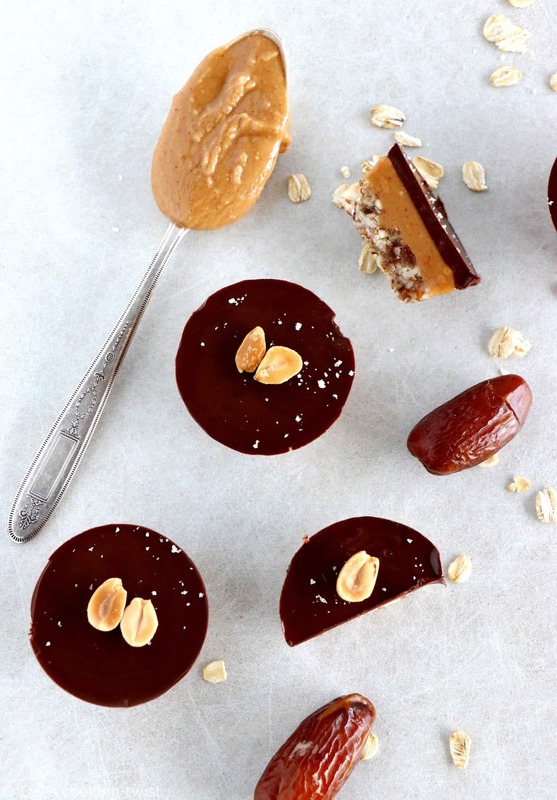 Healthy Oat Peanut Butter Cups (Naturally Sweetened) – Don’t you just want to grab a bite of these adorable mini cups through the screen right now? Dates and maple syrup naturally sweetened the all recipe. Feel free to adjust the quantities according to your own tastes. Raw Coconut Mango Cheesecake (Naturally Sweetened) – As for the other raw and vegan cheesecakes listed above, this one in its exotic version (mango, coconut) is sweetened naturally with dates and coconut sugar. 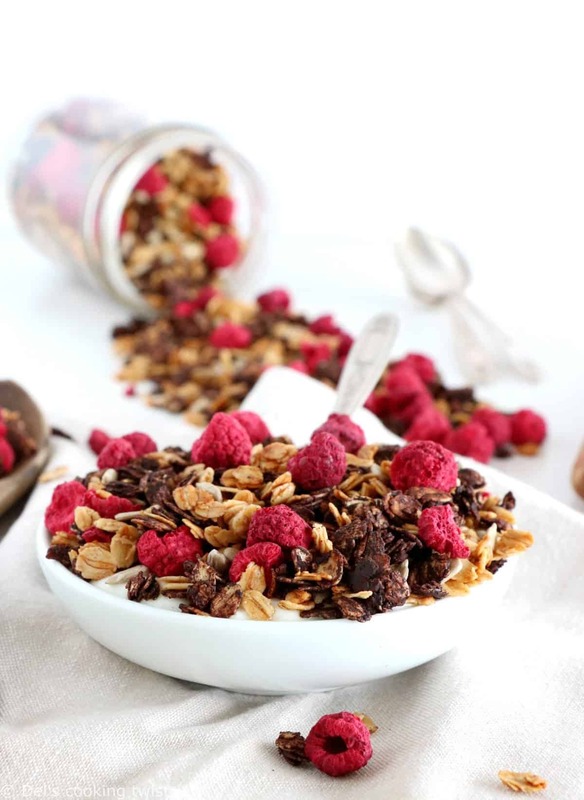 Cocoa Raspberry Granola (Sugar-Free) – It might be more on the breakfast side than on the dessert one, except if you use it to top your yogurts or fruit salads. 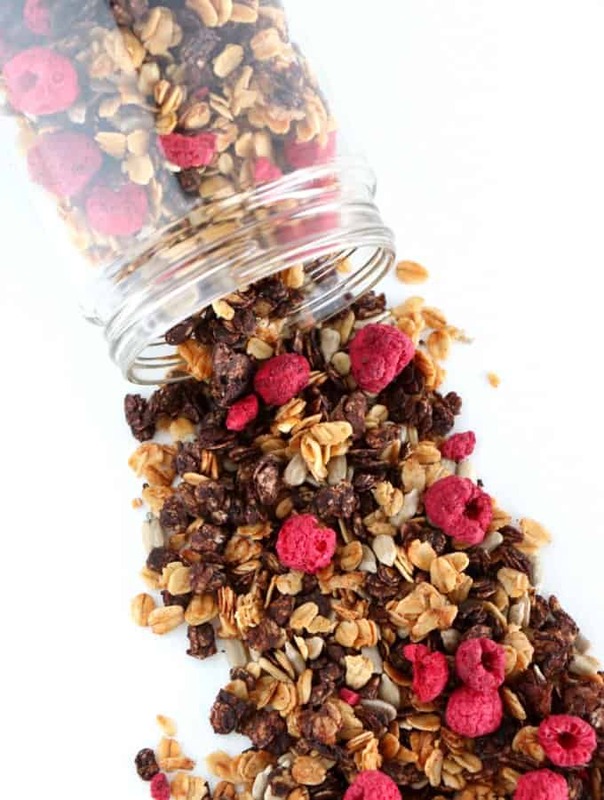 Apple juice and a few finely chopped pitted dates lightly sweeten the granola prepared with unsweetened cocoa and dried raspberry. 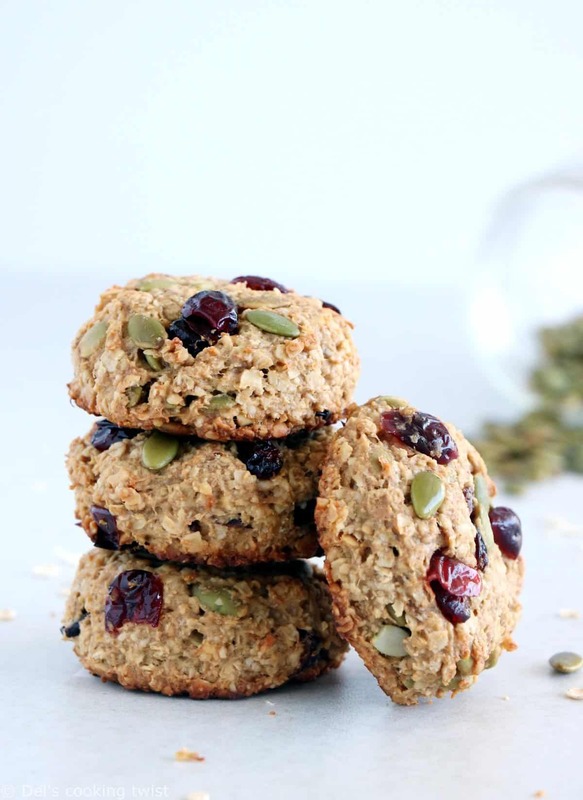 Vegan Banana Oatmeal Cookies (Naturally Sweetened or sugar-free) – Use ripe bananas to sweeten these healthy and minimalist cookies to enjoy anytime of the day. They are entirely sugar-free but you can add a drop of maple syrup for additional sweetness. 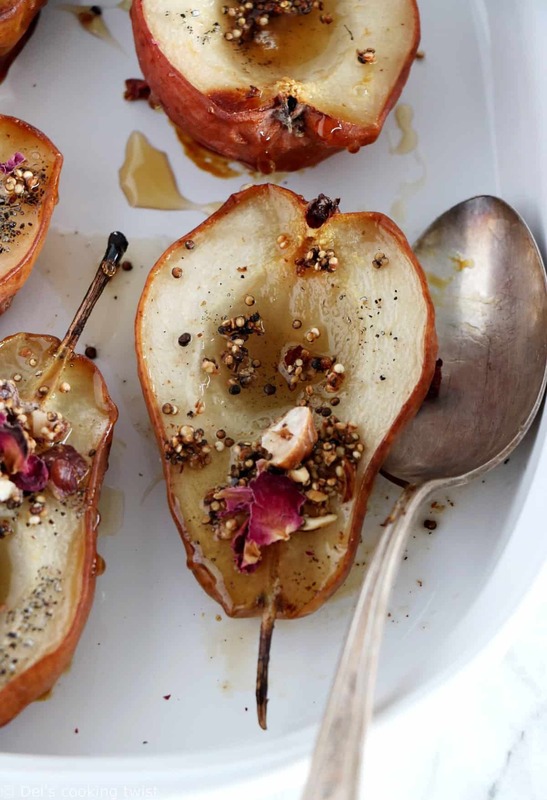 Cardamom-Infused Pears with Quinoa-Nut Crunch (Naturally Sweetened) – Bake them in the oven and drizzle just the right amount of the cardamom-honey syrup over. Don’t forget the irresistible quinoa-nut crunch! 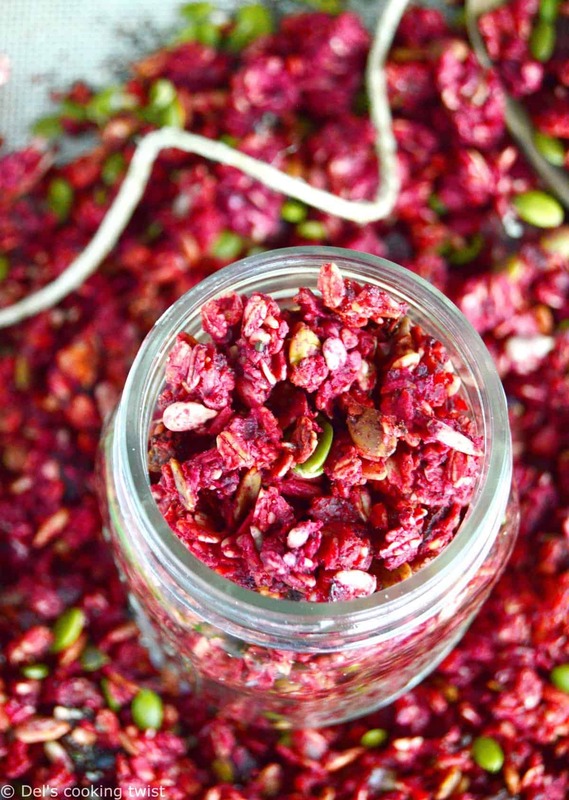 Beet Ginger Granola with Superfoods (Sugar-Free) – Full of health benefits, this vibrant pink-colored granola loaded is naturally sweetened with beetroot, apple sauce, and optionally a few chopped dates. Sprinkle over a lovely fruit salad or with oatmeal, cottage cheese, etc. 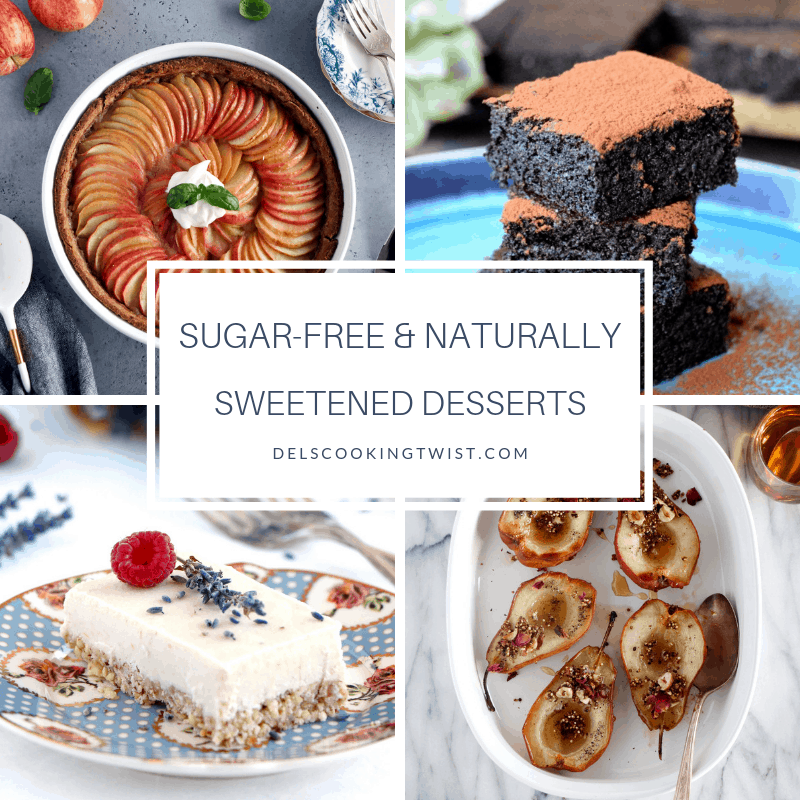 So yes, you can have dessert with no refined sugar, naturally and lightly sweetened with fruits, and still find it good enough for your sweet tooth. I hope you enjoy!